The play did not work. The Chicago Bulls fired Fred Hoiberg and promoted Jim Boylen to head coach on Dec. 3. It took less than a week for Boylen to become a big topic in the basketball world for his old-school and brash coaching ways. On Dec. 5, Boylen had the Bulls practice for two and a half hours, and run suicides, the day after a game. 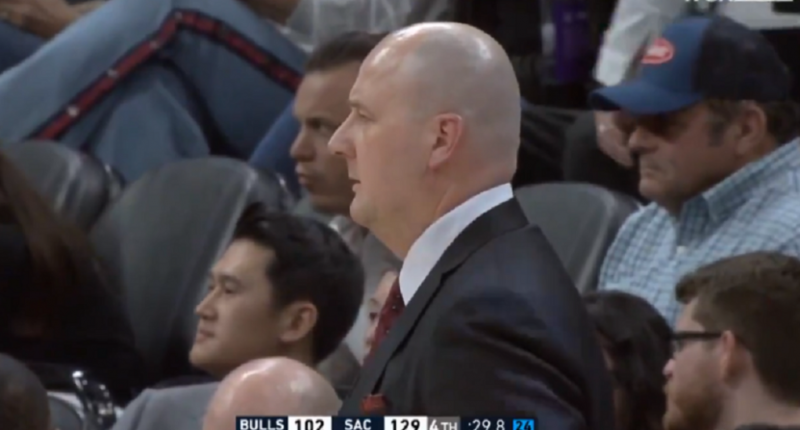 Three days later, the Bulls suffered their worst loss in franchise history, and Boylen made five-man substitutions and sat the starters for the final 21 minutes (and two days after that, the Sacramento Kings’ players even mocked Boylen after a blowout win). For a tanking basketball team (the Bulls are 19-52), the Jim Boylen era has been unusually eventful/eyerolling. That continued on Sunday, when Boylen called a timeout to draw up a play… with 29.8 seconds left and the Bulls down 129-102 to the Kings. Yes, he called a timeout with his team trailing by 27 points in the final 30 seconds. It’s hard to see how there could be any value in that, but Boylen gonna Boylen.